The Lucky 5 winners of Round 2 Giveaway! Thank you for your waiting and CONGRATULATIONS! 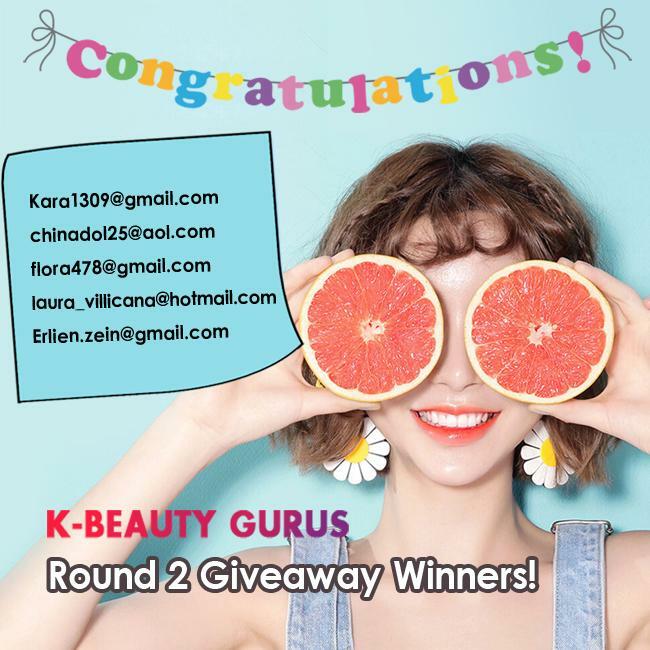 Glad to announce the lucky 5 winners of K-Beauty Gurus Round 2 Giveaway! You'll be given the same beauty box as our Round 2 contestants received in their second video! with the following information by Oct. 23! Haven't got the prize? Never be disappointed!